Harrow Beijing is a vibrant community affiliated to the renowned Harrow School in London and Harrow International Schools in Bangkok and Hong Kong and Shanghai. It offers a British-based international education to students aged from 2 to 18. The school is known for its commitment to academic excellence and for the way each student is supported through personal tutoring. Our mission statement of, ‘Leadership for a better world’ is supported through the skills students develop by studying our wide and varied curriculum and further evidenced through our co-curricular enrichment programmes. We accept students of all nationalities who meet our academic and social entry requirements. Currently there are nearly 900 students of 34 different nationalities, attending the School. Students from Harrow Beijing command places in top world universities, particularly in the United Kingdom and North America. The Upper School curriculum is structured towards the external awards of IGCSE, AS and A-level, the standard used in England and Wales that has also been adopted in other countries. Students who enter the School and need EAL, known at Harrow Beijing as Language & Learning, will start in our English Intensive Curriculum in order to progress to the AS curriculum. The A-level is fully recognized by universities worldwide for matriculation. Close personal tutoring is at the heart of the Harrow philosophy. We aim to offer each student and individual a personalized level of care, support and direction. By offering an effective program of tutor time, personal development time as well as a wide range of House events, close personal tutoring allows each student at Harrow Beijing to develop a comprehensive array of skills and talents. The House system at Harrow Beijing is central to our students’ well being and personal development as they journey through their school career and progress into life beyond school. Based on the traditional boarding house systems of Harrow UK, it is a fundamental ingredient in providing a personalized learning environment in which each child is personally known by a key member of staff. All students belong to one House and develop a strong sense of belonging and allegiance to their House over the course of their time at Harrow Beijing. The Houses afford students a smaller, closer community within the school, and broaden the range of activities and support available. 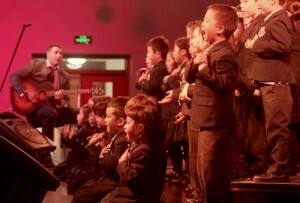 As an international school operating in Beijing, we cherish our Chinese environment very much. We hope that our students can not only become excellent international citizenship but also indulge themselves into the Chinese culture they are living in. We celebrate Chinese New Year and other cultural festivals here at Harrow Beijing. Chinese language is also a great add-on to our students. Students will get valuable opportunity to live closely to the Chinese community. 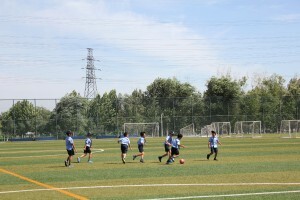 Harrow Beijing offers a wide and diverse range of activities. Activities are geared towards developing interests and skills in a wide range of activities. These activities are grouped into three bands Physical (sports etc), Creative and Cognitive (music, art, drama, STEM activities) and Service (Better World projects) where students help others. 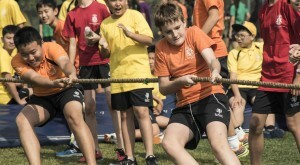 There are well over 100 different activities per season for pupils to choose from, which include activities such as Show Choir, Model United Nations, Basketball, Football, Swimming, International Award, LAMDA, Chess, Alenah’s Orphanage, Prep Production , Steel Pans, Debating, Greenpower Racing – to name but a few. Please go to http://www.harrowbeijing.cn/activitiesenrichment to find out more! Events organized in collaboration with other Harrow’s schools. FOBISIA- Federation of British International Schools in Asia. The School serves lunches for all students. The lunches are balanced and low in processed carbohydrates and fat. There is a fair choice of Western, Asian and vegetarian options together with soup, salads and a range of desserts. A range of snacks is available at break time for all students. Eating together is an important part of the culture of the school and there are formal occasions when the whole school shares lunch in celebration of British, local and international festivals. Which is unique in your School. All good schools are more than just teachers and students, they are a community. Harrow Beijing is particularly fortunate in this respect as we have an extremely vibrant and supportive community that enriches and deepens the educational experience our students enjoy. The Friends of Harrow (FoH) is an association of dedicated parents and staff that provides practical support to enhance the educational experience for the students. FoH offers support for new families in having a smooth transition to school life and settling in Beijing. We organize social events and fundraising activities for both school and charities throughout the school year, with parents of all nationalities informed and involved.